Transitioning from CEO or Executive to Non Executive Director – Is it really that difficult? In my years as a Board and Executive Recruiter I have had countless conversations with both CEO's looking for their first independent Non-Executive role and with Chair/Nomination Committees considering CEO's for their boards. They often see transitioning from an Executive to a Non-Executive Director as almost impossible. The conversations I have with each party are usually quite different but inevitably the question of ‘Can they make the transition effectively from 'CEO' to a 'Non Executive Director' is considered. It is a good question to ask but in most cases I find it a moot point in the application process. The conversations I have with Executives that are looking for their first NED role, whether before or after a looming retirement, are often conversations full of urgency and optimism, as the CEO looks forward to a continuing chapter of their successful career. In these conversations the first question I ask is always 'How much board experience do you have?' Often their reply is: 'Not much, I have been busy being CEO' - an understandable response and arguably not a bad one at that from an executive perspective. It shows dedication to the role. However, from an NED appointment perspective this response can be a killer. It is a killer because post an executive role and looking towards an NED career, these Executives must now compete with Executives or NED's with existing portfolio careers, even simply individuals with current board experience. In this case the question about whether they can handle the transition from a sole decision maker to a role as part of a decision making board is less relevant. Instead, what is relevant is their level of board experience, in either an executive or Non Executive capacity. All things being equal, I find that Boards want new board members who have been tried and tested in the boardroom. For this reason the kind of conversation I have most (when recruiting a new board member) with Chairs and Nomination Committees is focused around existing board experience. Only if an applicant does not have this experience, the question of whether they can make the transition to the boardroom is raised. So, what do I recommend? For CEO or Executives considering a board career, you need to be aware that gaining board appointments can be very competitive. You will be competing against more experienced candidates - something you may not be comfortable with. So getting yourself fully prepared for the journey ahead, is key. Understand intimately what you offer a board. In many cases it is a detailed understanding of the sector. It may just as likely be the breadth of connections you bring and the business opportunities that stem from them. Understand how board appointments are made - Advertisements, Search Firms, Networks & Direct Approaches (see our Board Appointment Seminars). Get your documents in order. 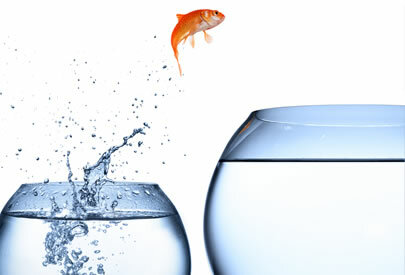 A Board CV alone won't get you the position but an inadequate Board CV may lose you the opportunity - don't take the risk. Make sure that you have a CV drawn up that reflects your experience in the correct way. Carve out some time from your executive career to prepare for the next chapter. If you are a CEO or Executive and do not yet have board experience all is not lost. A recently retired/retiring CEO or Senior Executive who applies for a board seat (in a relevant industry) can be seen as very appealing. In this case, and if positioned appropriately, the appointing committee/Chair can look favourably on your application by considering your relevance in the industry, the current networks and connections you might bring and your understanding of the immediate macro issues at play in running a similar business. Is transitioning from CEO or Executive to Non Executive Director that difficult? If the first critique of you as a CEO/Executive is not having any board experience, then it can be. If you see board roles as part of your future then don't wait until retirement to get the experience you need to make that transition as easy as possible. The position needn't be paid and it needn't be your dream role but the trade off is that having 'Non Executive Director' on your CV can be the difference between success and failure. For CEOs or Executives considering a board career, you need to be aware that gaining board appointments can be very competitive. You will be competing against more experienced candidates - something you may not be comfortable with. So getting yourself fully prepared for the journey ahead, is key. Let Board Direction help you with that preparation so you can hold your own against any competition and dare them not to appoint you. 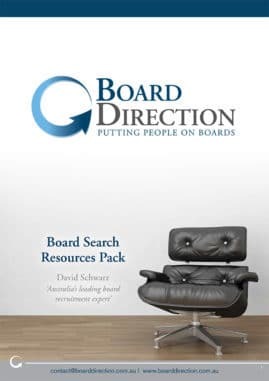 Board Search Breakfasts: Meet David Schwarz – CEO of Board Direction & Australia’s leading board recruitment expert – and hear about how you can develop a board career. By attending a Board Search Breakfast you will gain some insider knowledge on the board appointment process, details only known to Chairs and those involved in making board appointments. It is also a great networking event where you can build connections that could come in handy in future and see you dare them not to appoint you. We are Australia's leading Non Executive Director and board career support firm - dedicated to getting our members a board appointment and advertising Australia's largest & most diverse list of Non Executive vacancies. Here’s what a NED gets paid. Is diversity in the boardroom the answer to future growth? How Long will it Take to be Appointed to a Board?